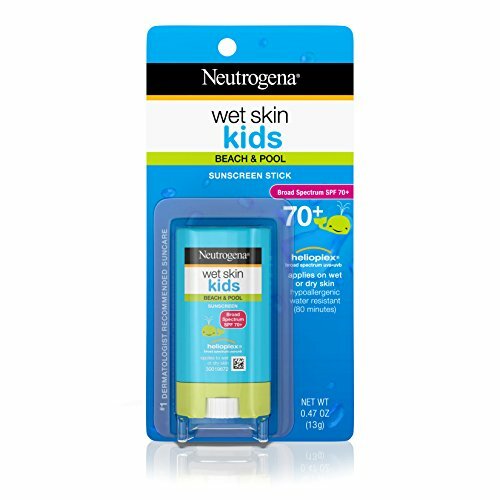 Help keep kids protected against sun damage at the beach or the pool with Neutrogena Wet Skin Kids Sunscreen Stick Broad Spectrum SPF 70. 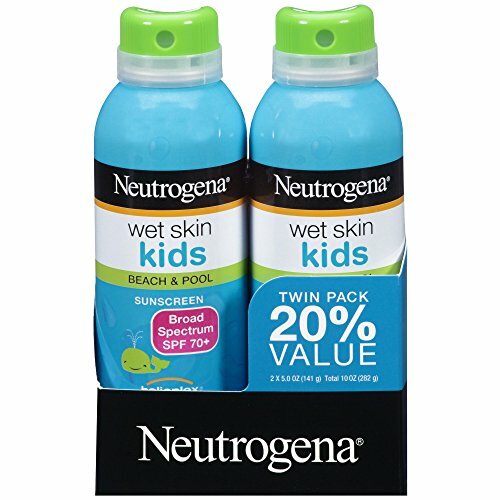 Made for active kids, this convenient sunscreen stick is specially formulated to work on wet skin. It instantly cuts through water, creating a water-resistant sun protection with every application. 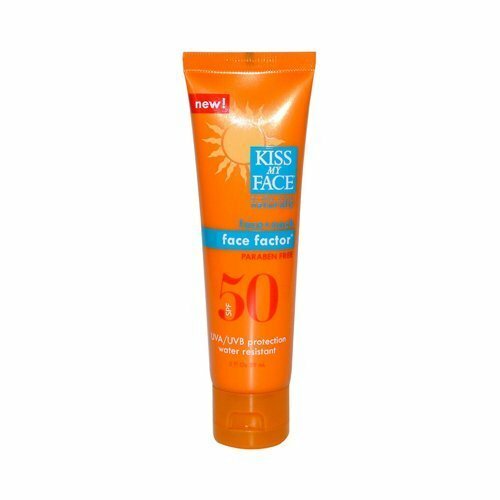 This sunscreen is formulated with Helioplex, a sunscreen technology with superior broad spectrum protection from damaging UVA rays and skin-burning UVB rays. This dermatologist-tested sunscreen is hypoallergenic, oil-free, and PABA-free. 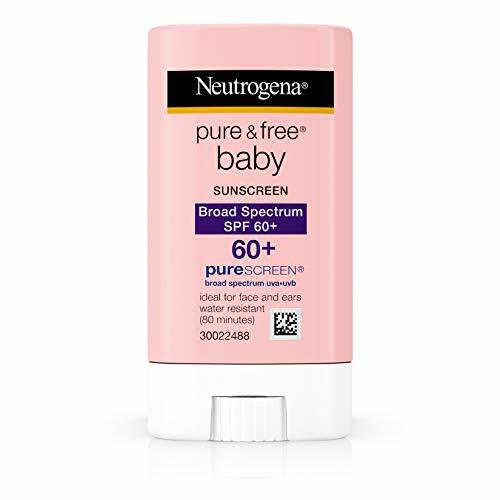 Help protect your baby s skin from sun damage and prevent sunburn with Neutrogena PURE & Free Baby Sunscreen Stick with Broad Spectrum SPF 60. Ideal for your baby's delicate skin, this extra-gentle baby mineral sunscreen comes in an easy-to-use stick and rubs into skin for a weightless, non-greasy feel and is ideal for face and ears. This baby sunscreen stick features Purescreen, which contains titanium dioxide, zinc oxide and 100% naturally-sourced sunscreen ingredients. Our zinc sunscreen creates a protective screen between your baby's skin and the sun to provide instant SPF 60 Broad Spectrum UVA/UVB protection. This extra-gentle baby sunscreen is specially formulated for sensitive skin and has been awarded the National Eczema Association Seal of Acceptance for persons with eczema or sensitive skin conditions. From the #1 dermatologist-recommended suncare brand, our hypoallergenic baby zinc sunscreen is also PABA-free, fragrance-free and water-resistant for up to 80 minutes. Create safe products Have the least impact possible on the environment in the creation, packaging, usage, and disposal of product possible. Connect to non-profit organizations engaged in activities that help the world become a safer, healthier place Over the last 7+ years, we have provided products for various fundraisers for diabetes, child abuse, autism, and cancer organizations, and have provided direct aid to catastrophes such as the Texas fires and Haiti. In addition, we have been proud donors to Texas4000, Healthy Child Healthy World, Environmental Working Group, and St. Jude. WATER RESISTANT - It will maintain its SPF after 80 minutes of water immersion. SUN LOVERS - Be protected during all your favorite outdoor activities from hiking, swimming, camping, and more! 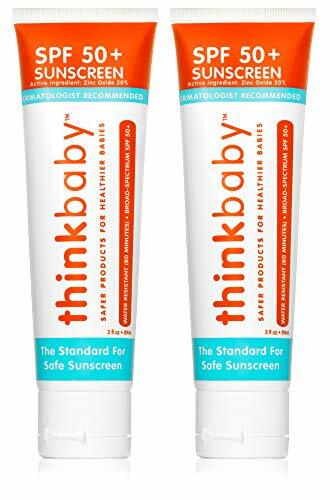 WORKS WITH SENSITIVE SKIN - Thinkbaby sunscreen is perfect for sensitive skin. We recommend testing on a small area of the body to ensure that you don't have any sensitivities. TIPS FOR APPLICATION - Thinkbaby formula applies easily and absorbs quickly. 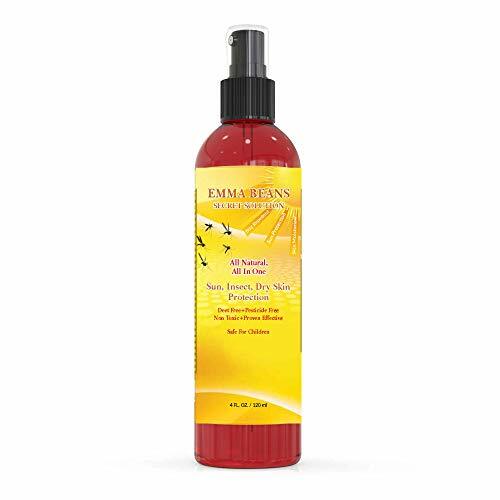 Be sure to apply all areas that will be exposed to sunlight, including behind the ears, neck, hands, feet, and scalp. Reapply every two hours or more as needed. Your baby's delicate skin needs unique protection from the sun's damaging rays. That's why we created CeraVe Baby Sunscreen SPF 45. This formula, containing 100 percent naturally sourced active sunscreen ingredients provides your baby with broad spectrum sun protection from both UVA and UVB rays. Like CeraVe products, it also contains essential ceramides to help repair and restore the protective skin barrier. And like all CeraVe Baby products, this formula is free of parabens, phthalates and fragrance. Not tested on animals. Essential ceramides help repair and restore the protective skin barrier. Won't run into baby's eyes.Type of skin-Normal to oily, normal to dry. Two Peas Organics SPF 30 Mineral Sunscreen, Baby Friendly, Coral Reef Safe Sunscreen Waterproof, Unscented, 3oz. The ingredients in traditional sunscreens can be harmful to our health and the environment. 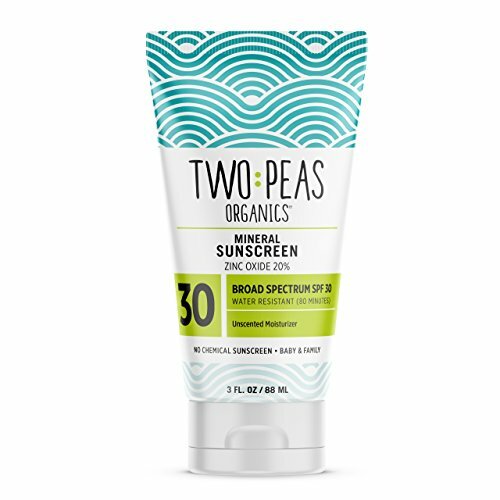 Two Peas Organics unscented spf 30 sunscreen safely utilizes the natural mineral of Zinc Oxide to deflect the harmful UVA/UVB rays to help prevent sunburn, skin cancer and premature aging. Made with certified organic coconut oil, jojoba oil and shea butter, this product will leave your skin feeling smooth and protected. 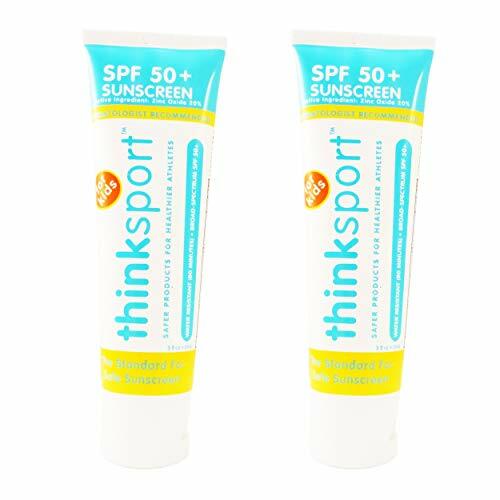 This powerful and safe sunscreen is perfect for your entire pod. So go ahead, enjoy life in the sun! We believe in living each day to the fullest. You do everything to keep your baby safe, so why expose them to harmful chemicals from sunscreen? Naked Elements has you and your baby covered! Did you know? 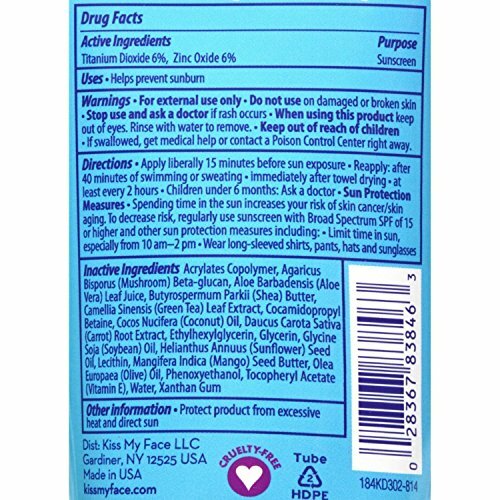 Zinc oxide is the only FDA-approved sunscreen ingredient for use on babies. You can rest assured knowing everything that is going on your child's skin. A simple, organic ingredients list is all we use to provide sustainable, reef-safe, broad spectrum UVA/UVB, worry-free protection. Works on parents too! ALL NATURAL PROTECTION Zinc oxide is the only FDA-approved sunscreen ingredient for use on babies. Our 25% non-nano zinc oxide provides SPF30 broad spectrum UVA/UVB protection with maximum FDA-allowed 80 minutes water resistance. ORGANIC INGREDIENTS We only use the best for your baby with only 4 ingredients total, so you know exactly what is going on their skin. Chemical-free, paraben-free, PABA-free, worry-free! EASY TO APPLY Convenient face stick makes it a breeze to apply sunscreen to even the fussiest of babies. Plus the delicious vanilla scent will make you want to eat your little one all up! 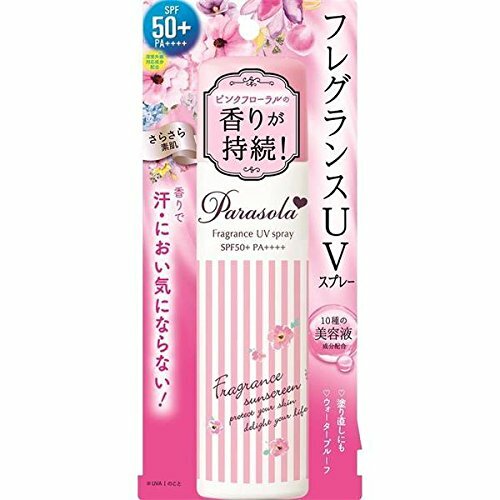 Parasola essence in fragrance UV spray is a day sunscreen spray of skin care sensation was plenty of blended beauty liquid component. non-colored, non-mineral oil, preservative (paraben) free. 10 kinds of beauty liquid blending component (nano hyaluronic acid and nano collagen. Sun protection with hyaluronic acid, collagen, and ceramide for hydrating purpose. The best sunscreen which can also soothe your skin. 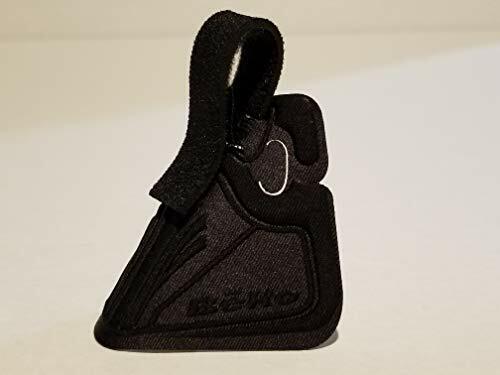 Adjustable design: There is a hook-and-loop back closure design for an freely adjustable head circumference and comfortable fit while maintaining its shape. Foldable and packable: The straw hat can be rolled up and opened to restore the original. It is easy to carry, and can be conveniently rolled into a compact size for storage and travel. Muli-Functional: The wonderful UV protection summer sun hat is perfect for gardening, walking along the beach, lounging by the pool, taking a vacation or any other outdoor activities. 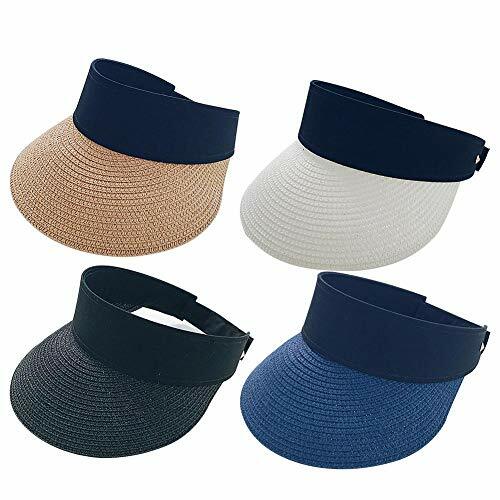 Great quality: Visor hat is made of 100% paper braid. It is 100% band new, long-lasting, strong and durable. Sun UV Protection: This roll-up summer straw hat has wide brim which helps shields sunlight, protect your face and eyes from ultraviolet rays. 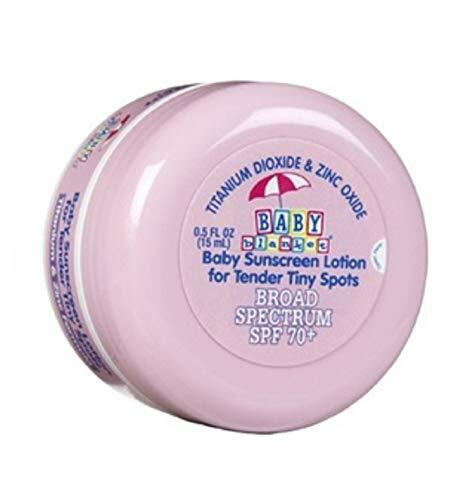 ALL NATURAL PROTECTION Zinc oxide is the only FDA-approved sunscreen ingredient for use on babies. Our 25% non-nano zinc oxide provides SPF35 broad spectrum UVA/UVB protection with maximum FDA-allowed 80 minutes water resistance. ORGANIC INGREDIENTS We only use the best for your baby with only 6 ingredients total, so you know exactly what is going on your their skin. Chemical-free, paraben-free, PABA-free, fragrance-free, worry-free! Coppertone is from the #1 pediatrician recommended sunscreen brand. 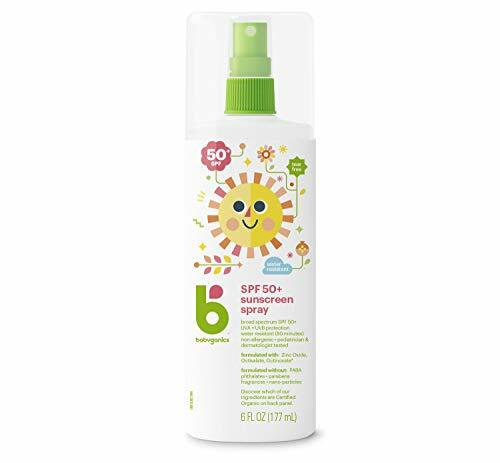 The SPF 50 broad spectrum sunscreen stays on strong when kids play and is guaranteed to stop up to 98% of damaging UVA/UVB rays. It's specially developed for active kids, is dermatologist tested, and is water resistant (80 minutes).